Luella F. Temple Marrall, 94, a resident of the Warren Manor and formerly of Clarendon, PA passed away on Saturday morning, November 3, 2018. She was born March 23, 1924, in Clarendon to the late Arthur E. and Jessie Moore Temple. She went to Warren High School up until the eleventh grade when she became the family caregiver due to untimely passing of her mother. Luella dedicated the rest of her life to lovingly caring for and serving others. She cooked meals, cleaned homes, and helped raise many children. 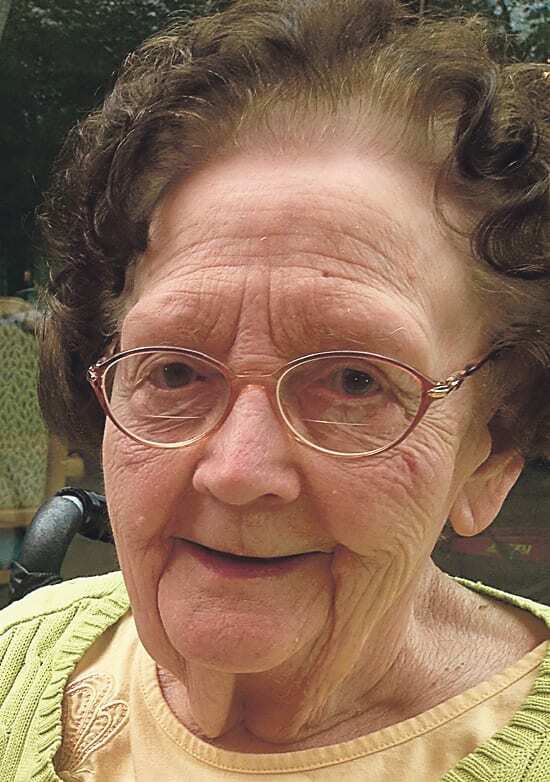 She was always up for an adventure with her greatgrandchildren, especially ones that included collecting Beanie Babies and woodworking projects in her back room. Gramma made the best “dippy” eggs and was virtually a world class chef, as watching Food Network was her favorite pastime; Paula Deen was her favorite, Giada De Laurentiis a close second. The family attributes her longevity to her favorite foods, including wilted dandelion greens with bacon, pickled deer heart and leeks. She is survived by her daughter Peggy McCool and soninlaw, Tony of Tucson, AZ; grandchildren Melanie (Eric) Braughler of Athens, AL, Robbie McCool of Tucson, AZ and Aimee (Jamie) Cromwell and Tommy (Mary Jane) Harriger of Clarendon, PA; greatgrandchildren Cody (Heather) Hastings, Jessie (Matthew) Hall, Tad Whitmire, Dallas McCool, Casey Cromwell, Abby Cromwell, Amanda Slattery, Angel Royle, Michael Kick; great, greatgrandchildren Kai Whitmire and her namesake, Luella Sands Hastings born May 5, 2018, and another great, greatgrandchild due in May 2019; niece, Nancy Standley of Warren and nephew, Frank (Jean) Temple of Youngsville and Barb Leichtenberger, her chosen daughter, who the family would like to thank for visiting Gramma each and every week. She was preceded in death by her husband, Paul T. Marrall whom she married on May 28, 1954, her daughter, Judith Johnson, her soninlaw, Bill Johnson, brother Arthur Temple and sisters Viola (Babe) Loupold and Hattie Rendulic. The family would also like to thank the Warren Manor staff for the excellent care they provided to Gramma for the last seven years. A Celebration of Life is being planned for spring 2019. The family requests that memorial donations be made to the Warren Manor Activities Fund or Hospice of Warren County. In our Gramma’s memory, we ask that you pop a top and raise a glass to a life well lived and a woman loved by many. Those wishing to make online condolences may do so by visiting, www.peterson blickfuneralhome.com.